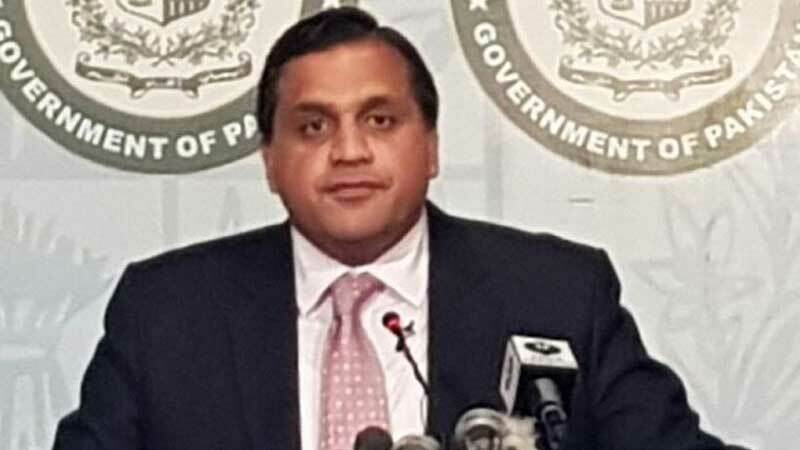 He was speaking at a seminar titled “Heritage Diplomacy: A Gadget for Regional Peace”, held here at Pakistan National Council of Arts (PNCA) where he emphasized upon an examination of the causes that had led to the rampant polarization and extremist tendencies prevalent in the society. Dr Faisal noted that Pakistan took pride in all its tradition, may they be Muslim, Hindu, Buddhist, Sikh, or Parsi because they have had an impact on the overall cultural identity of its people. The Sufi tradition of sub-continent was said to be deeply embedded in the belief system, customs, and general attitude of Pakistanis. He continued that the country was blessed with sites of civilisations including Mehrgarh, Harappa, Mohenjo Daro, Taxila and Makli; religious locations, such as Katas Raj, Nankana Sahib, Takht Bahi and various Sufi shrines including those in Sehwan, Uch and Odero Lal. Pakistan boasted of a richly poetic and linguistic tradition in the form of Bulleh Shah, Mian Mohammad Bakhsh, Allama Iqbal, Faiz Ahmed Faiz and Fehmida Riaz in addition to eminent writers such as Manto, Ashfaq Ahmed, Bano Qudisa and so forth, Dr Faisal maintained. Pakistan was blessed with a unique diversity, which must be cherished and protected. The spokesperson remarked that every province had a distinct cultural identity, resembling petals of a flower stacked together, and called this a marvel of nature. Pakistan truly appreciated and owned the heritage bestowed upon it by history, he claimed. “It must also be noted that various governments have undertaken a number of steps, whereby heritage diplomacy and cultural tourism have been promoted,” Dr Faisal explained. The prime minister’s decision to open up Kartarpur Corridor was said to be a manifestation of Pakistan’s unflinching belief in this philosophy. This was the most important milestone, unprecedented in the history of South Asia, he noted. The Corridor would allow the Nanak believers from India to perform the pilgrimage of the sacred complex at Kartarpur Sahab, where the founder of Sikhism, Baba Guru Nanak, had spent the last 17 years of his life. The spokesperson hoped that Kartarpur Corridor project would materialize soon enabling Sikh pilgrims to visit their holy site. Renowned folklorist, scholar and Lok Virsa Museum’s founder, Dr Uxi Mufti, proudly expressed that Pakistan was a cradle of civilizations, religions and heritage. He added that building heritage diplomacy would lead to peace in the region. He described that India had long focused on culture, traditions and heritage while Pakistan took a wrong direction by putting its economy first. The country still remained unable to secure financial autonomy and had left the promotion of its own pivotal base of art, culture as a part of its immense heritage, he added. Famous anthropologist and Centre for Culture and Development’s Executive Director, Dr Nadeem Omer, emphasized that Pakistan desperately needed a dedicated centre for cultural and heritage diplomacy. “Centre for Cultural Diplomacy (and heritage) should be established, existing institutions of art and culture must be strengthened while individual artists should be promoted as institutions,” he further suggested.